If you have not attempted the playing ability test or taken the verbal teaching test – the cost is $345.00. This course is for those who have already attempted the playing ability test and the verbal teaching test but were unsuccessful. One must attend the final day (Friday) of any Certified Golf Teaching Professional® certification class and re-take the playing ability test and/or the verbal teaching test. If you are re-taking your verbal teaching and/or your playing ability test – the cost is $150. The USGTF Master Golf Teaching Professional® certification is the highest level of attainment in the golf teaching industry. Master Golf Teaching Professionals have demonstrated a teaching acumen and ability of the highest order. 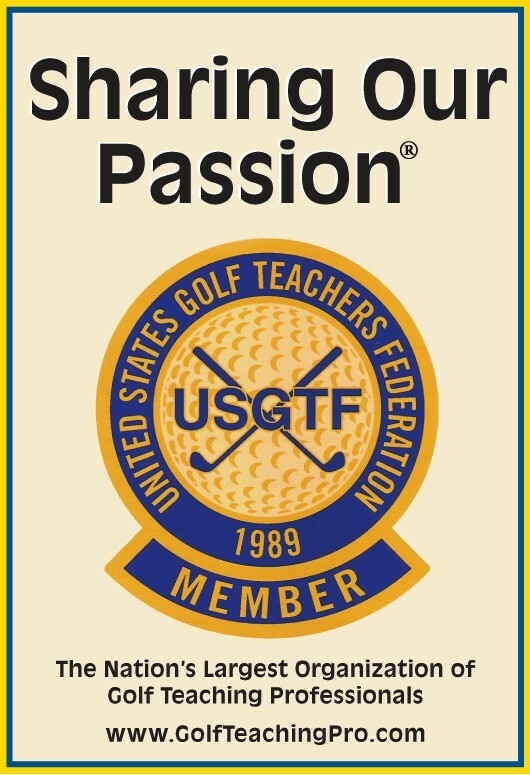 All USGTF members who have been a Certified Golf Teaching Professional® for a minimum of twelve months may become a Master Golf Teaching Professional. For more information on becoming a Master Golf Teaching Professional – please click here.